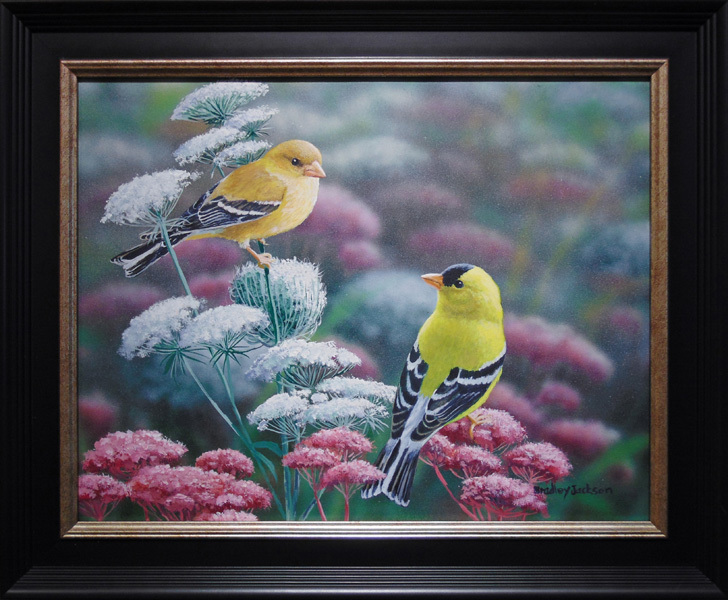 The acrylic paintings by artist Bradley Jackson can brighten any room. 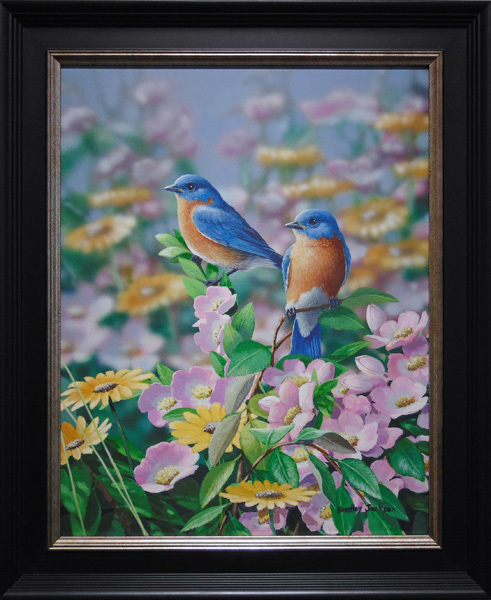 Whether it is a painting of his nostalgic reminiscence of time past, a portrait of songbirds or an idyllic day of wandering in the beauty of a nature scene, his paintings are bright and airy, filled with lush colors. 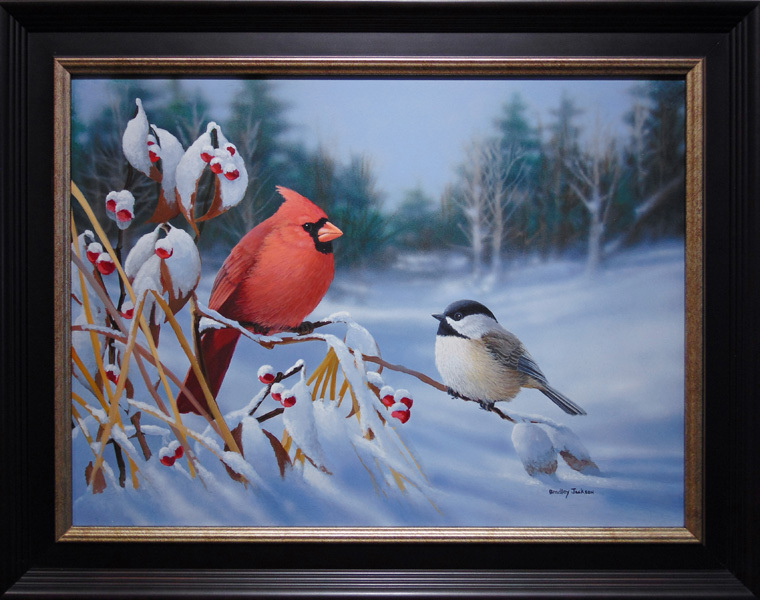 One of the most popular wildlife artists in the US, Brad grew up in the woods of Northern Maine on the banks of the St. John River where he developed his deep affection and love of nature and wildlife. It is this influence that continues to be evident in his paintings to this day. 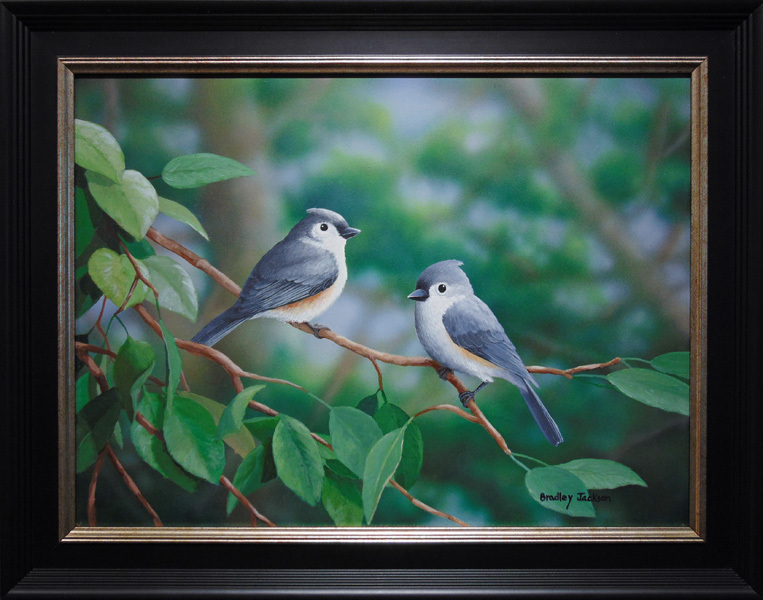 Known for his realistic approach, exactness for detail and a feeling for the actual essence of life, he uses acrylic paints in a unique application to capture the very heart of nature. Using the smooth surface of gessoed canvas, masonite or artist board, he begins laying in his background colors with a watered-down acrylic. 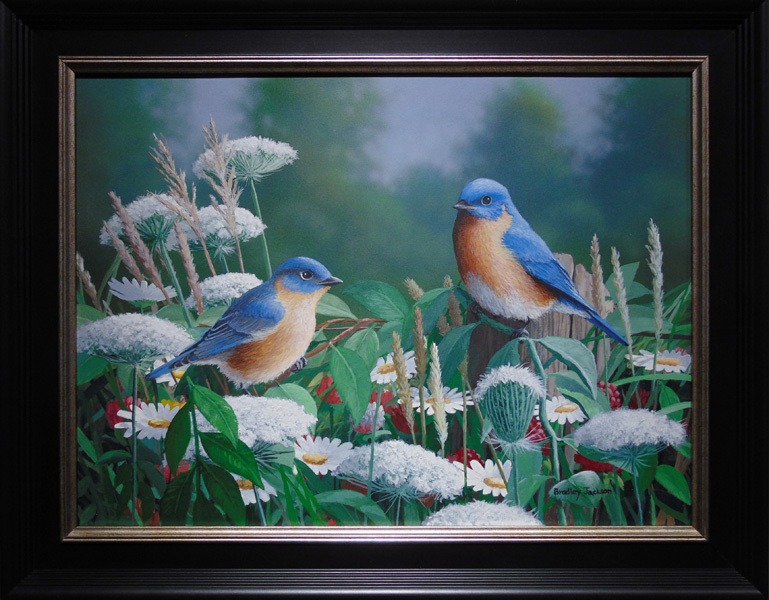 His backgrounds tend toward the soft focus: detailed, yet soft and shimmering. Using full strength acrylic paint, he creates a sharp detailed subject. Through this technique, Brad achieves a “photorealistic” portrayal. Brad explains: I’ve tried to transcend the materials used and the surface worked on to create as much depth and space relationship as possible. If it looks like a photograph, so be it. 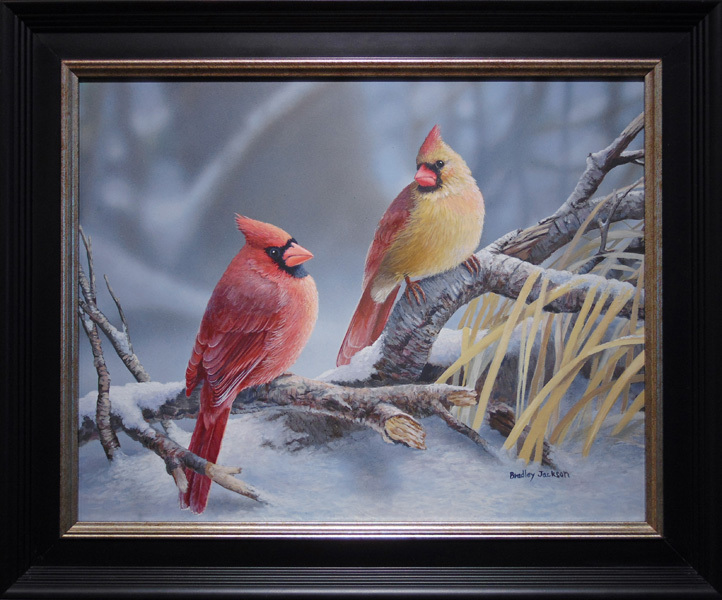 I enjoy creating an impressionistic background with a very detailed and realistic subject”. 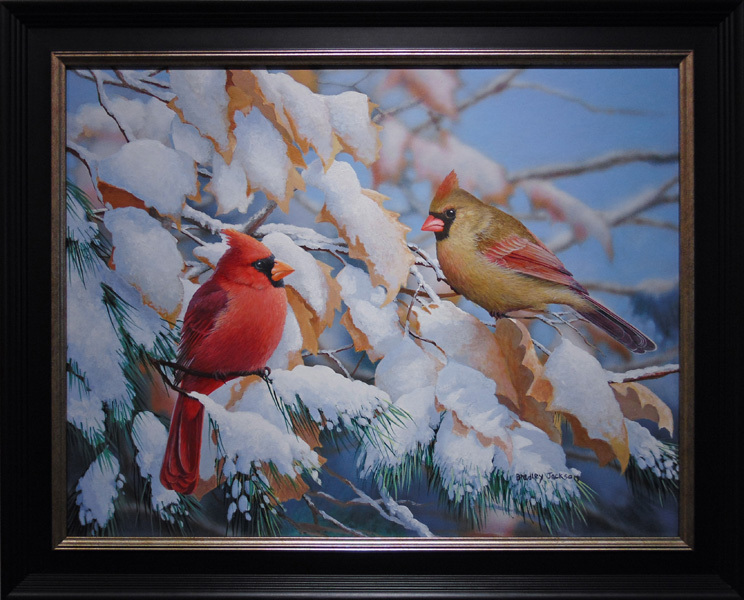 Brad’s life like paintings not only demonstrates his love for nature and wildlife but his ability to successfully capture their beauty in acrylic paintings. 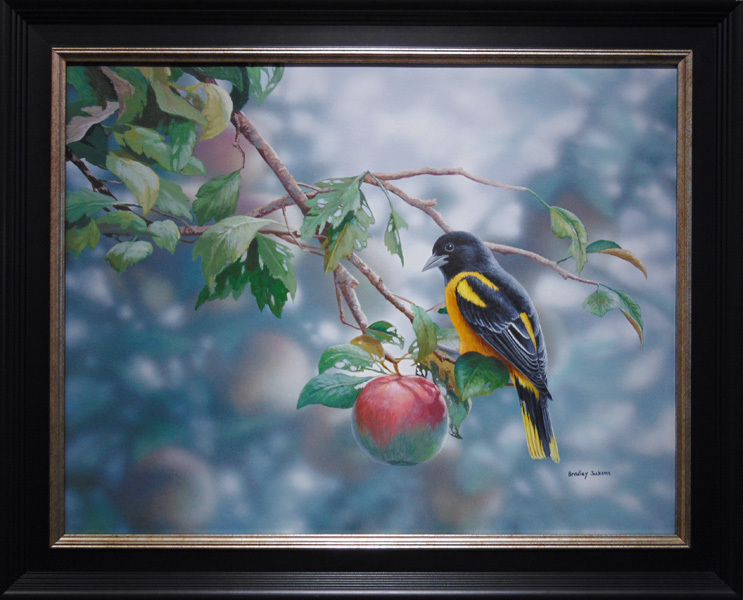 His self-taught style of painting produces remarkable detail in the subject matter, while achieving the soft effect needed to create depth. His paintings breathe with life and flow with color. Robert Paul Galleries is proud to show the works of American artist Bradley Jackson.